UC Clermont College will host family-friendly activities on Saturday, March 30, from 10 a.m. to 2 p.m. on campus. Sponsored by Macy's, ArtsWave's free annual arts festival connects people to an array of arts opportunities offered in our region. The annual ArtsWave Days celebrates the creative endeavors — music, dance, theater, museums and festivals — happening in large and small ways throughout our region. All events are free and open to the public. UC Clermont is located at 4200 Clermont College Dr. in Batavia, Ohio. Saturday, March 30, 10 a.m. - 2 p.m. Practice your artistic skills at the craft tables with a variety of family-friendly activities. Enjoy a walk around the exhibit and enter to win a limited edition signed risograph print by the artist. This familiar fairy tale comes to life with beautiful music and colorful sets and costumes. Recommended for ages 5-12. Jen and her team create works of art with your face as the canvas! 12 – 12:30 p.m. & 12:30 – 1 p.m.
Join in the fun of beading a bracelet or a key chain with Kelly Frigard, professor of fine arts at UC Clermont. We will have beading materials in all colors and sizes to suit all kids. Recommended for ages 4-16. Parental assistance is needed for children under age 7. We supply the materials, you supply the creativity! Unleash your inner artist with free reign to try out different paints and materials making your very own DIY work of art. Kim Taylor, associate professor of fine arts at UC Clermont, will be on hand to offer guidance as you free your creative soul. ArtsWave has reimagined the 30-plus year tradition of Sampler into a series of events: ArtsWave Days will span multiple weeks of the 2019 ArtsWave Community Campaign. UC Clermont College will proudly participate as a venue in Clermont County bringing family-friendly arts workshops, face painting, performances and more. All ArtsWave Days events at UC Clermont College are free and open to the public. Directions: http://www.ucclermont.edu/about/directions.html. Community Arts Programming at UC Clermont College is supported by individuals and organizations throughout the area who recognize that their donations to ArtsWave help create a livelier community and a place where people from different backgrounds come together to share ideas and experiences. ArtsWave, a nonprofit serving the Greater Cincinnati and Northern Kentucky Region, is the lead planner, promoter and fundraiser of the arts. Its roots stem back to the late 1920s when the Cincinnati Taft family provided initial investment matched by community support. In the late 1940s, it evolved to become the first united arts fund in the nation and in the mid-1970s, the first organization to initiate workplace giving for the arts. ArtsWave continues to innovate while leading, as illustrated by its No. 1 rank nationally in community arts fundraising; coordination of a sector-wide Blueprint for Collective Action; piloting of new technologies to maximize arts engagement; and development of resources for the arts. Strong funding for the arts has allowed Cincinnati’s arts and culture scene to become a national draw and regional asset, creating a ripple effect of economic and community benefits. 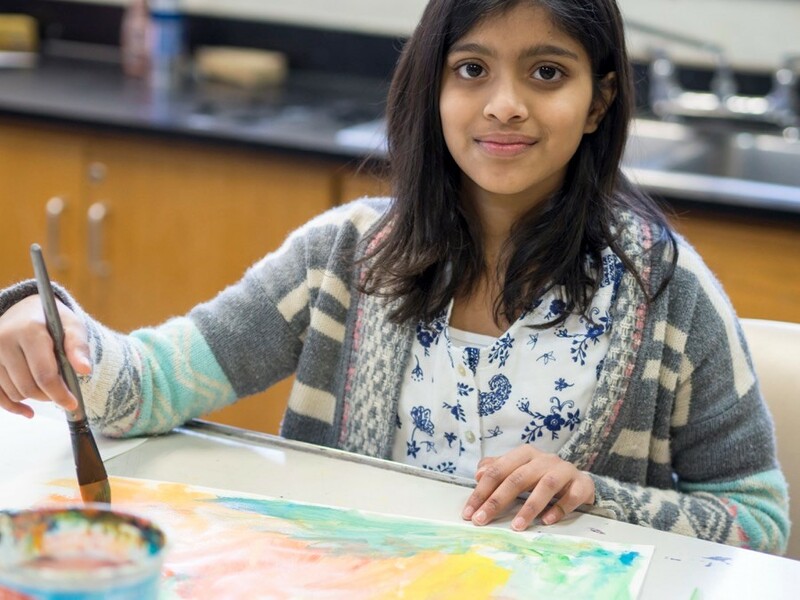 Each year, ArtsWave supports the work of over 100 arts organizations, school outreach programs, festivals, community centers, neighborhoods and various collaborations through impact-based grants. In 2018, ArtsWave raised more than $12 million for the region’s arts, marking its fifth year in a row of this funding magnitude. ArtsWave remains the largest community campaign for the arts throughout the country, both in total contributions and number of donors. In addition, the organization partners with the Cincinnati USA Regional Tourism Network to fund an additional $1 million for arts marketing, grants and services.